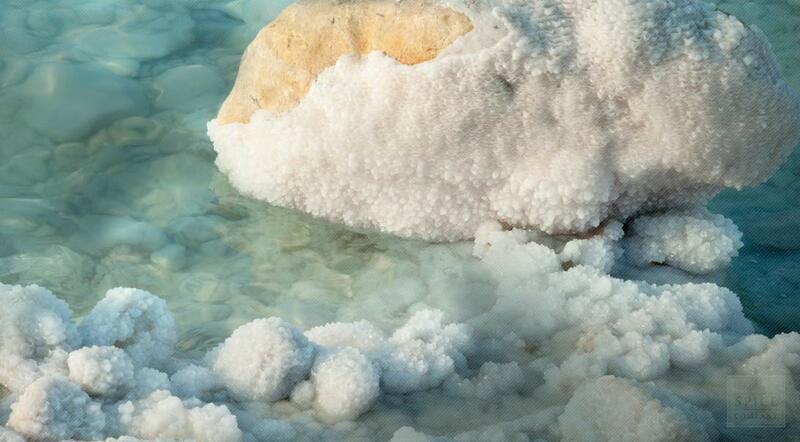 These salts are extracted from the Dead Sea, the Mediterranean body of water famous for its buoyancy due to containing nearly 10 times more salt than any ocean in the world. People have flocked to the site to swim in this nutrient-rich salt lake since the time of King Herod. Available to you in manageable quantities, dead sea mineral salts are ideal for creating spa quality bath salts at home. As the name suggests, Dead sea mineral salts are obtained from the mineral-rich floor bed of the Dead Sea, which is actually a Mediterranean salt lake landlocked by Israel, the West Bank and Jordan. With nearly 10 times the salinity of the ocean, the Dead Sea is one of the saltiest bodies of water on earth. It is so salty, in fact, that bathers can take advantage of the heightened buoyancy of the water and float rather than swim. Although the chemical composition of the Dead Sea changes with season and climate conditions, the salt concentration generally remains at 30% or greater. But sodium chloride isn’t the only ingredient in Dead Sea minerals. The salt typically contains several anhydrous (without water) chlorides of magnesium, potassium and calcium and other minerals. Dead sea mineral salts are also abundant in bromide, sulfur, zinc and iodine. Because these agents are reputed to provide benefits for the skin and overall health, thousands of people flock to the region to bask in the water and mud every year. This form of rehabilitation, known as thalassotherapy, was particularly popular in the 18th and 18th centuries. A more modern term for this activity, balneotherapy, refers to the use of mineral waters and thermal springs, specifically. Situated 1,200 feet below sea level, the location of the Dead Sea is considered the lowest point on the planet. A dense atmosphere inhibits solar radiation to permit lengthy bathing in the sun without risk. It is said that this leisurely pursuit, in addition to exposure to a warm climate, highly oxygenated air and 21 minerals in the “bath” water to soften skin and enhance hydration, promotes a restorative effect with the relaxation of the body and mind. Fortunately, therapeutic spas and hydrotherapy centers exist to accommodate those who can’t make the trip to the Dead Sea. Of course, an easier and more economical alternative is to purchase a bag of authentic Dead Sea mineral salts and turn your tub into a home spa. No reservations required.